Get ready for London 2012, this game's going to be big. The "Volleyball Drill Book" covers all volleyball's positions and provides 115 team drills that reflect gameplay situations and enables players to be ready to serve, set and hit their way to victory. This comprehensive book will help players improve their passing, setting, blocking, digging and serving skills and helps coaches plan and develop more effective team practices. The numerous drills and comprehensive coverage will keep team motivation high, improve scoring efficiency and emphasize players' conditioning. Each drill includes a detailed explanation of the purpose, setup and execution, as well as variations and coaching points to help teams perform each drill properly and help coaches fix common mistakes. During and after the 2012 games, interest in this Olympic sport is sure to rocket and this book is suitable for players and coaches at all levels of play. Chapter 1 Integrating Drills Into Practice; Chapter 2 Serving Drills; Chapter 3 Ball-Handling Drills; Chapter 5 Offensive Drills; Chapter 6 Defensive Drills; Chapter 7 Transition Drills; Chapter 8 Competitive Multiplayer Drills; Chapter 9 Team Scoring Drills. "In The Volleyball Drill Book, the authors have pulled together the drills and insights that have made their teams some of the best in the game. It's my pleasure to recommend this book." "The AVCA wanted to create a book of drills that would give volleyball coaches all the tools and directions they need to run dynamic and engaging practices. Teri Clemens and Jennifer McDowell have crafted just such a book. The Volleyball Drill Book will make you a better coach!" 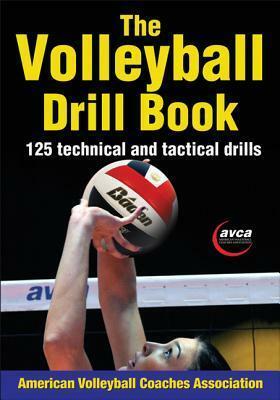 "The Volleyball Drill Book is a well-crafted book by two of volleyball's all-time great coaches. If you want to land the formula for success of championship programs, this book is a great place to start." Incorporated as a private not-for-profit educational corporation in 1981, the American Volleyball Coaches Association currently has members across the USA and in 30 other countries. Teri Clemens spent 14 years coaching at Washington University, where she compiled an impressive overall record. Clemens is now a highly sought-after and nationally recognized motivational speaker and clinician. Jenny McDowell is the head coach at Emory University and led her team to national championship wins in 2008 and 2010.